Place the steak in a zip-top bag with Sweetwater Spice Ancho Chipotle Brisket Bath. Refrigerate 30 minutes to one hour. Preheat your Yoder Smokers YS640 to 450ºF set up with GrillGrates. 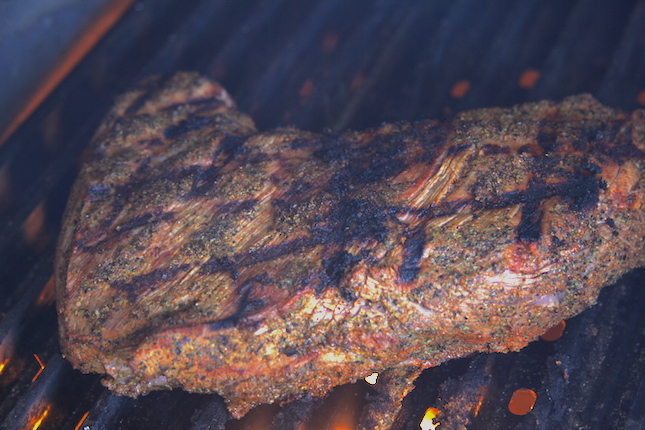 Pat the steak dry, season with Oakridge BBQ Santa Maria Grill Seasoning. 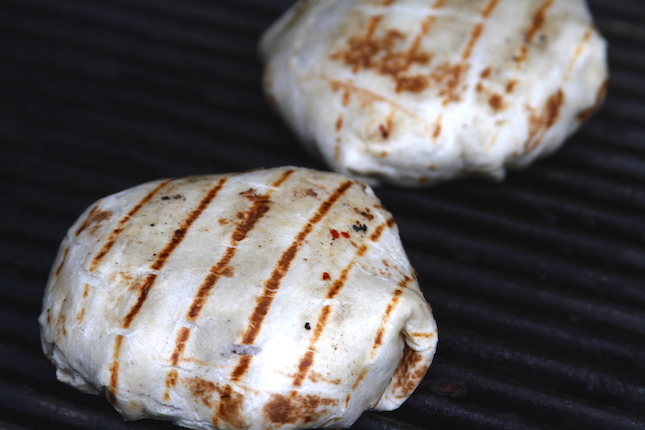 Grill to an internal temperature of 125ºF. Rest 5 minutes. Dice steak. Place the bell peppers and onion in a foil pan. 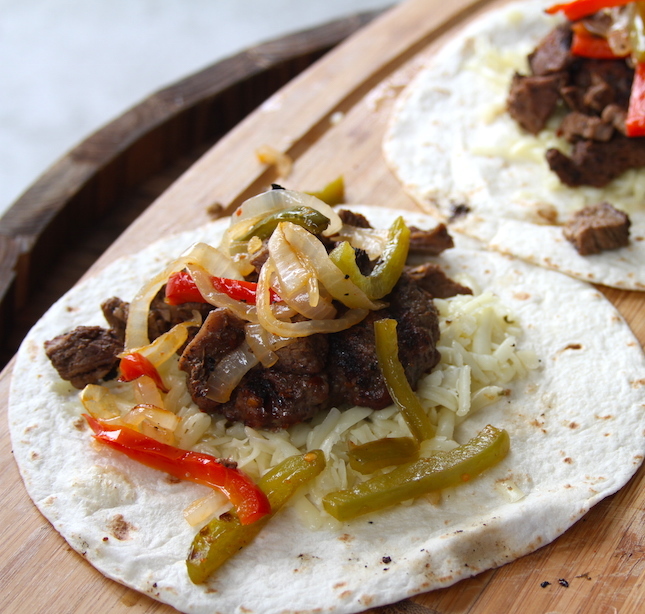 Toss in oil and season with salt and Cattleman’s Grill 8 Second Ride Carne Asada Seasoning. Place in the cooker and cook until softened. 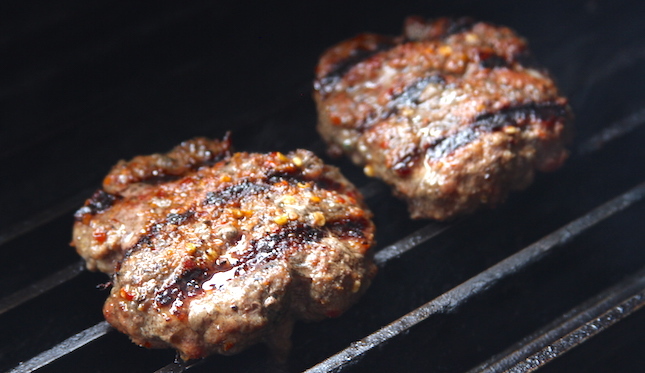 Form the beef into two 1/4 lb patties. Season with Cattleman’s Grill 8 Second Ride. Grill to an internal temperature of 160ºF (check the temperature using an instant read thermometer like the Maverick PT-100). Lay out the tortilla. Place the shredded cheese in the center. Place the burger on the cheese. 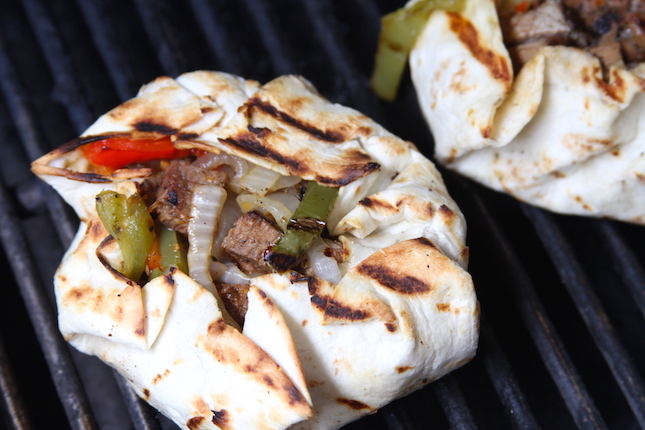 Top the burger with the fajita veggies. 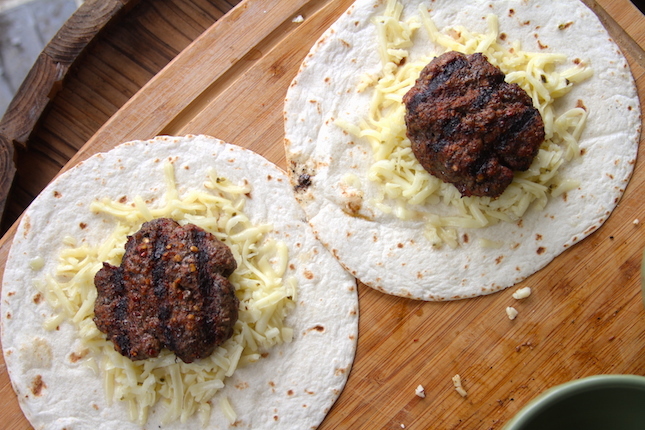 Fold the edges of the tortilla up and around the burger to enclose all ingredients. 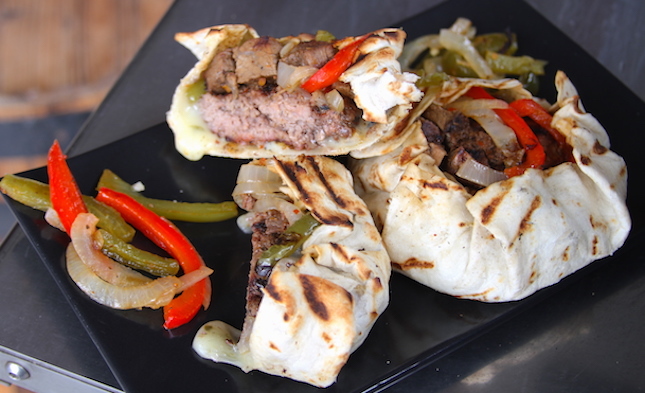 Grill on both sides to crisp tortilla and melt cheese.